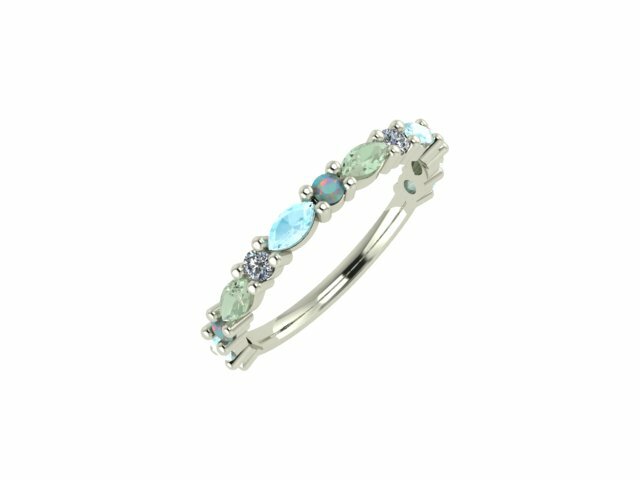 The colours of this ring are inspired by the magical colours of the Aurora Borealis, also known as the Northern Lights. Here we have 2mm round White Opals and Diamonds with 2 x 4mm marquise cut Aquamarines and Green Quartz. This beautiful ring is also available in 18ct rose gold and yellow gold.